It’s been a long, long time since I’ve posted on here. I’ve been a horrible blogger, and I apologize for that, but that is one of the resolutions I have for the New Year. Speaking of the New Year, HAPPY NEW YEAR EVERYONE! I don’t know about you, but 2013 was a wonderful, life changing year for me. With the help of God, and some hard work I managed to do some pretty big things. I am so happy, and I want to share the joy I feel with all of you. 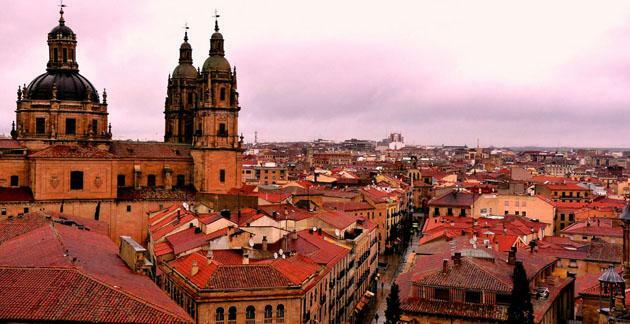 I’m going to be spending my winter abroad in the beautiful, college town of Salamanca, Spain. I’m super excited and feel extremely blessed. Through hard work, and lots of essay writing, I was able to win scholarships and grants to cover the cost of my travel. I will be studying the Castilian language of Spain and the culture of its people. I will blog from Spain as often as I possibly can, and will do a series on the food, culture and my reflections as a first time traveller out the U.S. Stay tuned everyone! Awesome! I’m glad you have the opportunity to do so 🙂 I’m excited to read about your time in Spain! Thank you! I’m writing right now about my first experiences!